Sepsis is a life threatening condition in which the body has a severe reaction to bacteria or other infection. The response is referred to as systemic inflammatory response syndrome (SIRS). It involves a widespread inflammatory condition in which blood pressure decreases causing several organs to cease functioning due to a lack of blood flow. Treatment options are currently limited and include antibiotics, oxygen support, fluids, and medications to increase blood pressure. A hallmark of sepsis is the widespread elevation of cytokines. 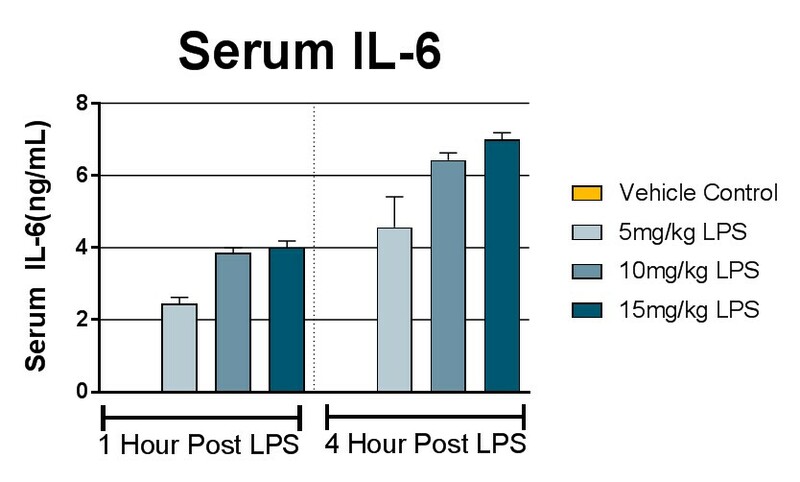 In rodents, lipopolysaccharide (LPS) elicits a strong immune response within hours following administration. In the acute model, this response is measured by examining IL-6, TNF-α, or other cytokine concentrations in blood serum. 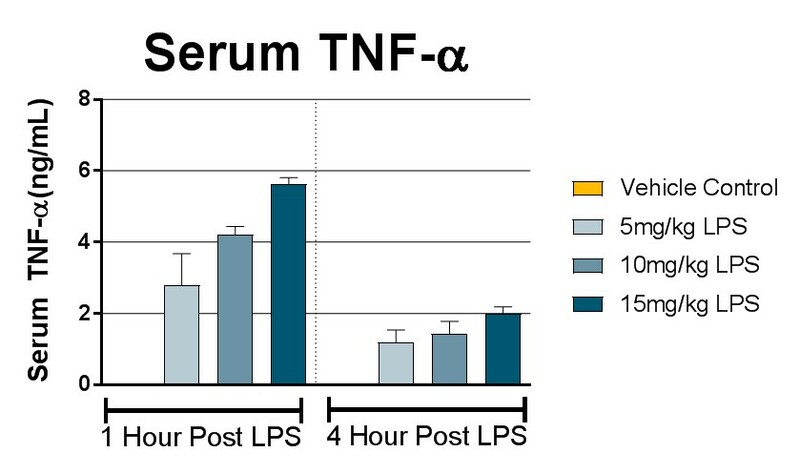 Compounds which prevent the elevation of cytokines are predicted to be efficacious for sepsis. In severe cases, sepsis can be a life-threatening condition. 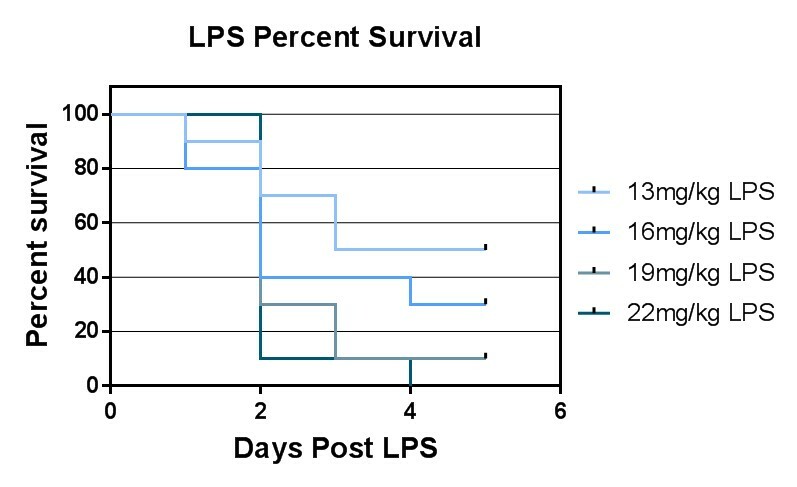 To model severe sepsis in rodents, LPS is administered at doses expected to produce 50%, 75%, or 100% mortality within 5 days of administration. Potentially lifesaving treatments are examined by measuring the effect of treatment on increasing percent survival.